Bookie-Looker: a blog by stefanie sugia Bookie-Looker: auf Wiedersehen 2013, Hallo 2014 ! auf Wiedersehen 2013, Hallo 2014 ! It's a new year! Let's welcome it with a happy heart! To be honest, December wasn't the best month of 2013 for me, because a lot of things happened - but they are a compilation of both good and bad things, so I won't complain much. Let's face it, life is not a wish-granting factory. 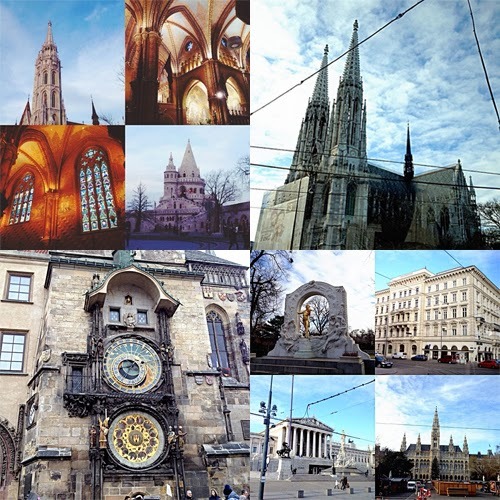 I just returned from my 2 week journey to travel around East Europe, including German (which is why I'm using Deutsch for the title), Austria, Prague, and Swiss. And I hope it's not to late to say 'Happy New Year 2014!' to all my friends as well as my blog readers :) It was definitely tiring; especially the long flight, but meeting a lot of new people and seeing so many new things excites me. 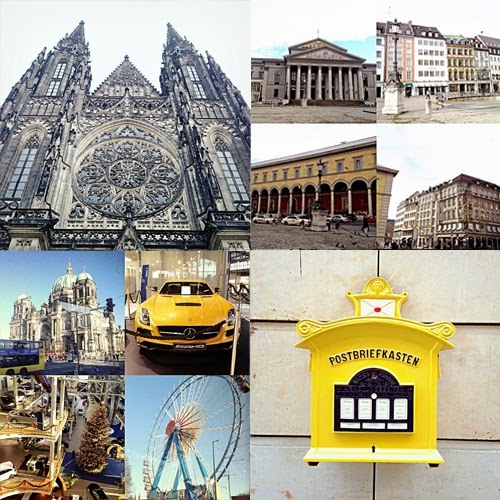 So in this post, I'll post my highlights of 2013 and also some hopes and goals for 2014 ahead :)) *Below is some of the photos I took during the trip; for my Instragam followers, there's nothing new I think. I read 88 books in 2013 - and I have written all the reviews on this blog. Reviewed 5 movie adaptations on this blog; although I watched a lot more. I wrote 148 posts on this blog in 2013; which means around 55 posts are non-review. Successfully (?) restrained my book shopping addiction. Received sponsored books from publishers. Completed my 6th and 7th semester in university; with GPA 3.41. Established a new business, OppaJjang, with my friend. Hoping to succeed reading 100 books this year. My challenge since 2011 is unsteady. Read more English books - and in shorter time. Write more variety of posts on this blog. Continue restraining my book shopping addiction. Save money and work hard to earn them. Finish my thesis and GRADUATE from University with at least 3.5 GPA. Start thinking more about life, and love, probably. Go to New Zealand to see the Hobbit world! Aside from those, in 2014 I also have resolutions that has always been said every year; such as love my family and friends - care for them and be kind; treasure health; get rid of bad habits; and all the usual stuff. I always encourage myself to be a better person each year. Although I don't know if I succeeded or not, I just want to live my life the best way I could think of, with God as the center. Sometimes I'm foolish and selfish, but we're all human and we all make mistakes. 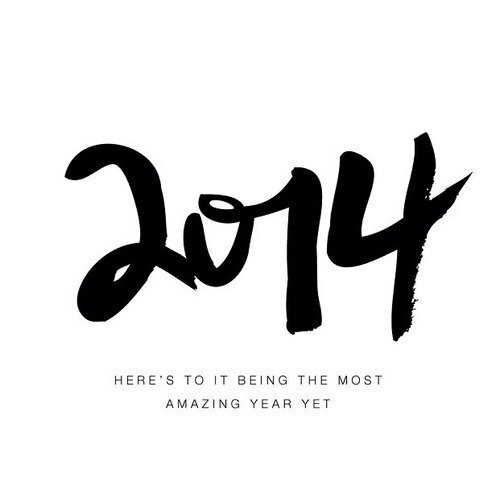 2014 can be a fresh start for me - and for everyone else of course. 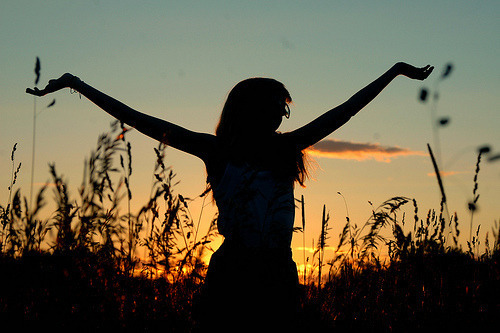 Let's be optimistic and be sure that your future is bright! Anddd, while I was away, I didn't realize my blog's pageviews has passed 500,000! Even until now, it's still hard to believe that so many people read (or visited) my blog. For whatever reason you have stumbled upon my blog, I thank you. Because each pageviews motivates me; makes me feel that my reviews on this blog is useful for people. To celebrate this 500,000 pageviews, I will hold a giveaway! Maybe giving away 500 free books? LOL, no. I'll think of something, but probably not this month; because I'm very busy until the end of January. Stay tune on this blog or facebook fanpage for updates ;) I'm currently working on 4 book reviews: Simple Thinking About Blood Type and the Divergent trilogy. Hopefully I can finish them soon after I fix my PC ;___; Bye for now!